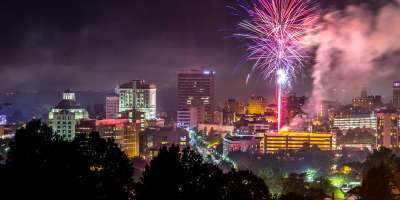 Fourth of July Events and Fireworks in Asheville, N.C. Celebrate Independence Day in Asheville in 2018! Asheville takes great pride in celebrating our nation&apos;s Independence Day. From festivals to parades to fireworks, you&apos;ll have a blast celebrating the Fourth of July here in the Blue Ridge Mountains! There&apos;s something special about watching fireworks burst over the twinkling skyline of downtown Asheville that keeps families coming back on Fourth of July year after year. The fun at the Ingles Independence Day Celebration begins at 2 p.m. on July 4th in downtown&apos;s Pack Square Park. The festival is family friendly with bouncy houses and children&apos;s activities provided by LEAF Easel Rider from 2-6 p.m. The Ultimate Air Dogs compete at 2 p.m., 4 p.m. and 6 p.m. with the finals at 7:30 p.m. Asheville Hoops will host a Hula Hoop Jam from 2-4 p.m.
After working up a sweat, cool off at the Splasheville Fountain. The afternoon is also a popular time for families to have a picnic on the Roger McGuire Green. Have dinner at one of downtown&apos;s many great restaurants before heading back over to Pack Square Park for the fireworks show beginning at 9:30 p.m. No outside alcohol, coolers, or pets are allowed in the park. Tips from the locals: The fireworks can best be seen from Pack Square Park. There are also some good spots along N. Spruce Street near the intersection with College St. Arrive early and bring a chair or blanket to sit on. Parking is available in the parking decks (first hour is free), on the streets, and in private lots. Enjoy America&apos;s national pastime on Independence Day! 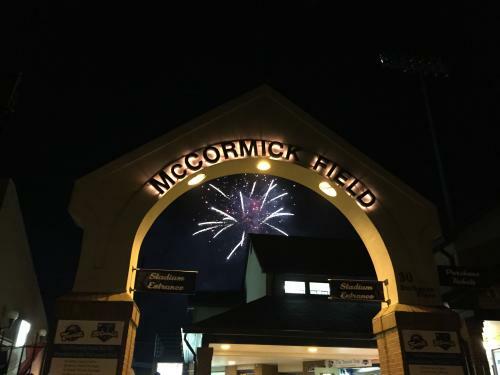 The Asheville Tourists baseball team (Class A-Colorado Rockies) takes on Rome (GA) at historic McCormick Field in downtown Asheville with a fireworks show to follow. First pitch is at 7:05 p.m. Tips from the locals: Purchase your tickets early. The game typically sells out prior to July 4th. Also, bring a blanket. When the game ends, you&apos;ll have the opportunity to watch the fireworks from the field! One of the largest fireworks shows in the area happens over the calm water at Lake Julian Park. Arrive early and use the picnic tables, grills, sand volleyball court, horseshoe pits, boat rental and playground. The fireworks begin at dark. Bring a lawn chair or blanket and find your spot. Nearly all spots along the lake offer a great view of the fireworks, which reflect beautifully on the water. Tips from the locals: Park in the lot for Estes Elementary across from Lake Julian Park (parking is not permitted at the Lake itself on July 4th). Also, bring a jacket or a sweater! Evenings can be cool at the lake, even in July! The town recently named "America&apos;s Prettiest Small Town" by readers of TripAdvisor, celebrates the Fourth of July in a classic way. Family fun begins at 7 p.m. Black Mountain hosts a street dance with a live band, games, and food on Sutton Ave. near the old train depot. The fireworks will start at dark behind the BI-LO. The fireworks can be seen from man places throughout downtown. 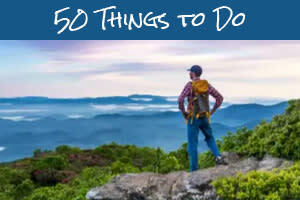 Tips from the locals: For a special experience, take the Swannanoa Valley Museum&apos;s 2.5-mile roundtrip, moderate hike to the top of sunset mountain. Dive into an old-fashioned watermelon cutting before heading up the mountain to watch the fireworks below. Hikers meet at 6 p.m. The museum will transport chairs/other cargo up the mountain. 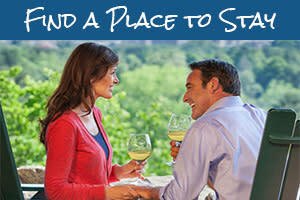 Tickets are $35 for museum members and $50 for non-museum members. 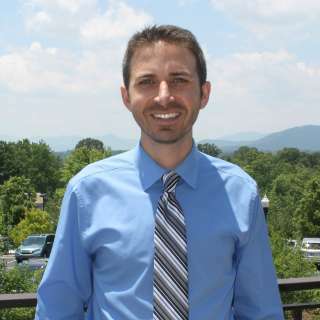 The town of Montreat hosts an old-fashioned Fourth of July parade that is a longtime favorite in the area because of how it captures the essence of American life. The celebration traditionally has been a homecoming holiday that brings extended Montreat families together from all over the country. The parade begins at 10:30 a.m. with youth clubs, community organizations, and musical groups leading the way. The Montreat Cottagers Association hosts a barbecue following the parade (purchase tickets for $10 ahead of time as no meal tickets will be sold at the event). The day kicks off with the Montreat Gait (5k race) at 7:00 a.m. Tips from the locals: Put on your dancing shoes and check out the square dance from 7-9:30 p.m. No experience is necessary to enjoy the fun! Asheville&apos;s neighboring town to the north puts on quite a Fourth of July celebration at beautiful Lake Louise. The day begins at 8 a.m. with a 5k race put on by the Kiwanis Club. The heart of the celebration begins at 7 p.m. and concludes with the fireworks scheduled for 10 p.m. Tips from the locals: Avoid road closures on Merrimon Avenue by parking on Weaver Blvd. (or other locations to be announced) and riding the free shuttle to Lake Louise Park!